A few years ago, we found ourselves floating high in a hot air balloon just after dawn. I’m not really one for heights, but the view was impressive. Our journey was accompanied by the distant barking of dogs far below, unnerved by the balloon’s shadow crossing their suburban territories. 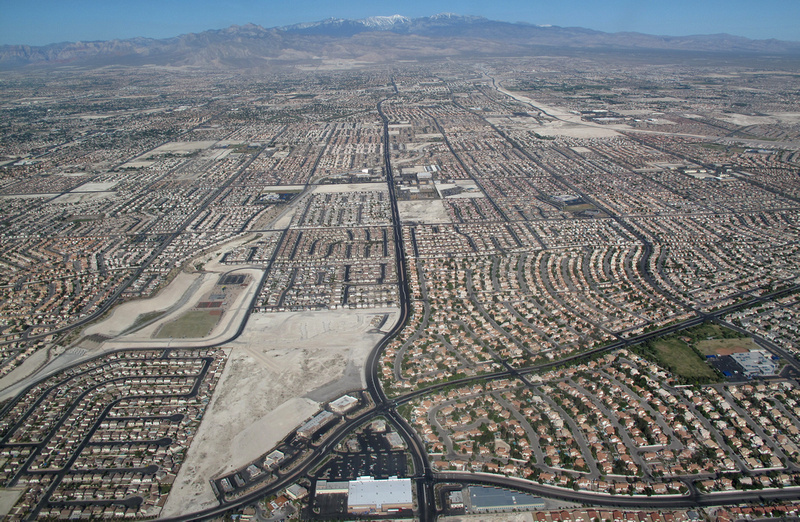 Urban sprawl is nothing new, but I still find the images mesmerizing in their geometry and human lines. Low density urban development brings with it a host of environmental issues – loss of wilderness and farmland, water supply challenges, over-extended services and infrastructure, increased consumption of fuels, and so on. Still, I understand the financial necessity of living outside of large cities but within commuting distance, as well as the desire to live close – but not too close – to urban hubs. There are methods of developing large-scale housing and urban areas which plan for more sustainable use of limited resources and require less driving, but these are still the exception rather than the rule. For the most part, urban sprawl seems to grow whenever local economies permit – only to have all that newly developed land become a financial and maintenance burden when an economy contracts. 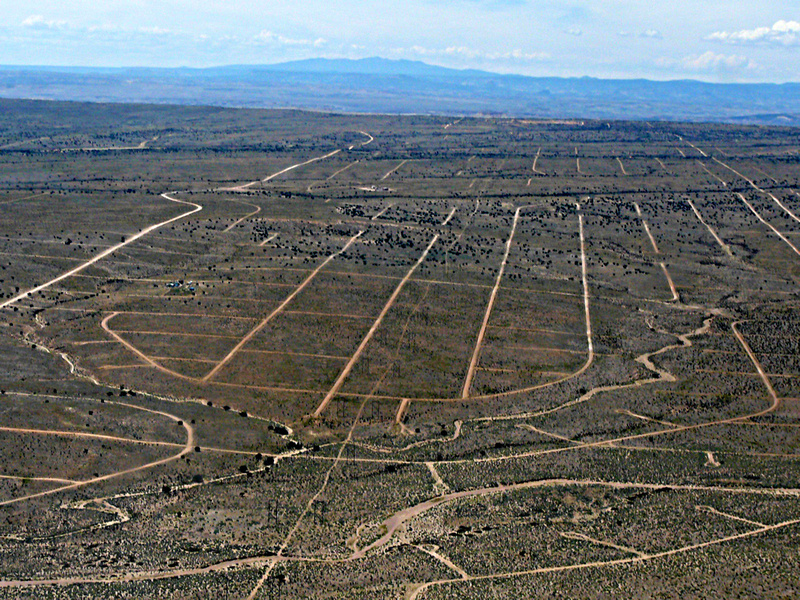 Back to our balloon trip, which took us far above the high desert of Albuquerque, New Mexico. The city spread in all directions, and at the edges, it went further in the form of empty roads, a skeletal outline of charted territory, ready to be filled with more homes. It was a great and picturesque ride, until our landing, which somehow went very wrong. What had looked safe, planned and controlled turned out to be none of those things. A powerful gust of wind, a whoop of controlled panic from the pilot, the earth coming up at the wrong angle. Then the basket with us inside, skidding horizontally along a dusty field, our pilot hanging on from the outside, trying to right the sideways basket before anyone got hurt. A miscalculation in flight, ending in a crash by any definition. That time, though, there was no permanent damage. We were able to right the basket, get up, and walk away.